This is an estimate and will be updated as things change. How does the shipping work? Seems the flat rate is more expensive than it should be? 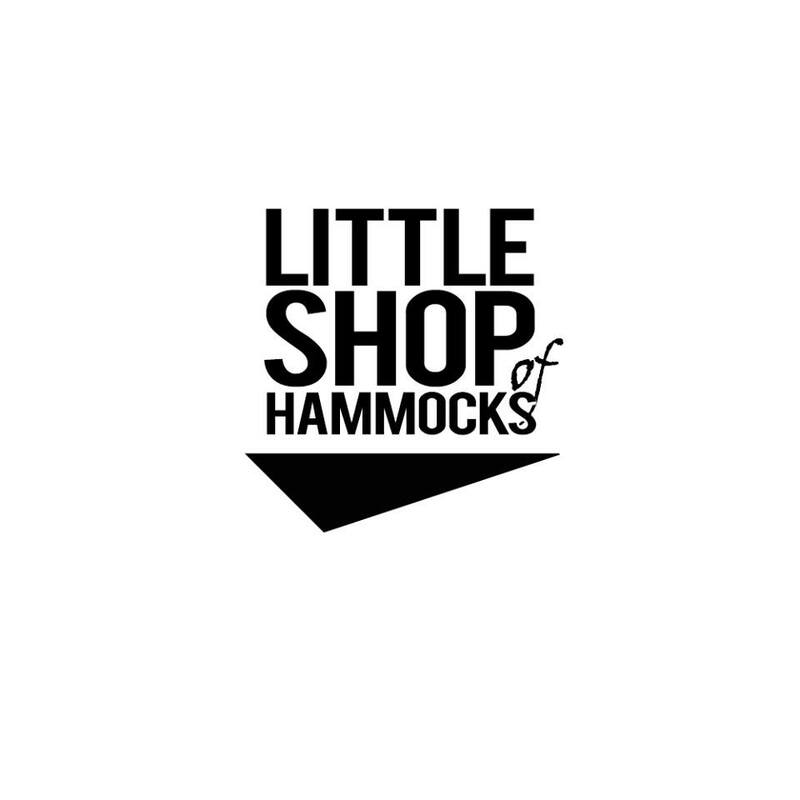 At Little Shop of Hammocks there is a variety of items which have different weights and sizes. For larger items we are trying a flat rate approach which varies on your province/location. However if for instance you need a couple little things and they fit in a small envelope and cost 1.80 to send I will refund the rest. Reason for this as mentioned is the variety of weights and sizes within the same category so the shipping programs can’t work with this. And to be honest it’s hard for me to figure out every possible combination on a given item. Refunds are sent back via the method of original payment. What’s the deal with your quilts? They seem heavier, more down and lets face it, a bit more expensive than some I see on the internet. What’s going on? Glad you asked. All of my underquilts use a closed box baffle design. But that’s not all. Box baffle is a term that is often thrown around like Tim’s coffee cups. A true box baffle makes sure that it’s sides and ends are also the proper height, not pinched off and are actually sewn closed! That means that the correct amount of down stays where it should be. I hear a bunch of excuses saying it’s great for when we want to add extra down, you can move down where you need it most.. Garbage. It’s simply a short-cut, easier way to make a quilt. Saves them time and money. Why don’t I do it? Because I think if you are investing money in a down quilt you might as well get something that will last and not give you hassles. And.. (this is a big one) it stays warm through it’s life. Ask the competition questions! What are you baffle heights after sewing, what is the loft height of the baffles. Are the baffle chambers actually sewn shut or just closed by leaving a bit of extra fabric flapping around? Loft. : To maintain a temperature rating you need to have loft. I use large baffle heights and I also make sure the Loft of the quilt is higher than the height of that baffle. Temperature range: Having proper loft and baffle heights plus the right amount of down gets you to the wanted Temperature Range. It makes for a bit beefier of a quilt, with more down but a warmer quilt. What’s the point of getting a 20° quilt if you need to take a 0°F quilt to hit that temperature range? For sure this may vary for some people who have a compromised circulation system. Weight: It’s not always about weight. If a company is giving you a 0°F Underquilt which is supposibly wider and longer than normal and it weighs under 20oz I can guarantee you that you are not getting a true 0°F UQ. Makes it hard for you when reading specs on the internet. My down is sourced and produced in Canada. None of it comes from China. Quality is consistent. More expensive but worth it. Keep the emails coming if you have questions. E-Transfers can be sent to the above address. Email separately with the E-transfer password. Phone number : 306-477-9478 Please leave a message and your email if I can’t get to the phone at that time. If you don’t leave a message I will not return your call. I get a lot of telemarketing calls which I will not answer. Any information gathered from you during the ordering process is only for fulfilling your orders. Meaning I won’t sell it to anyone. It’s private. At Little Shop of Hammocks every effort is made that all pictures, colors etc are as accurate as possible. We try to update the website in a timely manner. We also reserve the right to change specifications, models etc without notice. Currently for international orders I only accept PayPal. You can use your credit card through PayPal once your setup. Within Canada, at the Check-Out there is an option to use E-Transfer (send money through your online banking via email). Simply send the amount through your online bank, email me and once it arrives I will update the order as paid. Some people don’t care for PayPal and this is an option around that. U.S.A. customers please keep in mind the dollar values used on the website are in Canadian dollars. Shipping outside of Canada and USA : If you are in a different country and wish to purchase (outside of Canada and USA) please contact me through email. With International sales I accept payment through Paypal. Please be careful using your hammock. You are responsible for maintenance of your gear and it is subject to wear and tear. Taking care of it will extend its life and enjoyment as well as your own. Using gear from LSoH means that you agree to acknowledge and accept all responsibility of the risks of Hanging / Hammocking and hold Little Shop of Hammocks harmless, and indemnify and protect them against all liability arising from from activities using our gear. You accept sole responsibility for your actions. Dogs, cats, animals in general will puncture hammock material and make a mess of your bugnetting and lightweight quilt fabric. As will knives, keys and sharps objects that have in your pockets or carrying into your hammock with you. This is not normal wear and tear. Just a warning. Treat your zippers with care. Yanking on them, opening / pushing against them with your foot is never advised. When closing your zipper take care to not catch the bug net/mesh in the zipper. Gear Weights ,Sizing and Specs. Fabric weight recommendations are for 1) Stretch and Comfort 2) strength (fabrics can often handle more than option1 however they can be stressed at certain areas if you exceed the weight. Single layer hammocks can handle (comfort and strength) approximately 285 lb. If you prefer less stretch you can choose to double layer your hammock. By doubling up 2 1.6 layers the weight limit changes to 400lb. The fabric, while strong, cannot handle sharp objects poking them. So if you have a set of keys, knife on the belt.. metal clips on the clothes be careful. This goes for 2 sets of elbows on one area while doing something naughty.. be nice to your hammock. Currently using Canadian Hutterite White Goose Down for the Premium quilts and 800FP Hutterite White Duck Down for the classic quilts. Duck Down may have a slight smell when wet. Non-treated down : I have transitioned away from the treated down. I was finding it was lofting poorly compared to the non-treated. Even though the treated was more resistant to moisture it eventually wetted out. You will see some smaller down particles come through any material. The lighter the material gets, the more you will see it. It comes through in clothing articles like jackets and you will see it come through quilt material regardless of the IDFL labs scoring. Care of your Down Quilts : Treat your quilt with care and you will get many years use out of it. Always air them out after use. If you are on a multi-day hike spread them out on your tent or over the hammock (TQ’s) UQ’s get more air flow hanging under the hammock but still need airing. So if your taking a lunch break and it’s sunny spread them out. Your quilts are made with some of the lightest weight fabrics available so special care is required to prevent any damage to them. If you fail to follow these instructions you can damage your quilts severely. I don’t recommend washing machines, that being said if you are going to use them only use front loading washing machines on delicate setting. Hand wash in a large basin or tub with warm water. Gently push the air out of the quilt in the water and knead the quilt allowing the water to saturate the down. Then a minimal amount of kneading, pushing the water through the material. Drain the tub and knead out the water. Do no wring or whip the quilt around. This can damage the quilt. Fill the tub with fresh water and repeat to flush the detergent out. Repeat until the water is clear and not cloudy. Do not move the quilt around while saturated with water. It’s too heavy and the internal baffles can be easily damaged this way. You can use towels to aid in the moisture removal. Never hang a wet/soaked down item on a line. Lay it on a drying rack so it’s supported while heavy. Drying outside in dry air with air movement works great. Once the quilt is fairly dry you can move it to the dryer with tennis balls. Only use Fluff / No Heat setting. Minimal heat can cause hot spots in your dryer and melt the fabric. NO HEAT. The tennis balls will help break up the clumps of down. It may take 3-4 hours to dry a quilt. Once the quilt is dry you will need to shift down around with gentle hand pushes. Store loose in a large breathable bag. Do not store in the stuff sack. I don’t allow returns on items unless there is a defect in manufacturing which I will correct. If you have any questions please contact me before ordering to make sure you get all the information needed. You are responsible for caring and maintenance of your gear. It is a given that UL gear is a compromise between weight and durability. The lighter the fabric the more fragile it is compared to a heavier alternative. Any gear that has been used beyond these limitations or through improper care will not be warrantied. If you have questions on the items email me.